​Pain is one of the many symptoms of chronic Lyme disease and/or its coinfections. 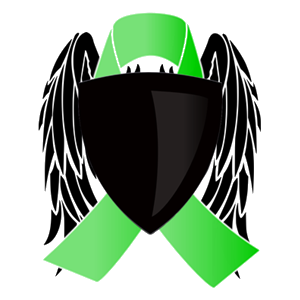 The pain a person with chronic Lyme disease can experience ranges from just a dull ache, to the most severe and debilitating pain they've have ever felt. Pain may also linger for just an hour, or it may hang around for days on end. The attempt to eliminate it is the constant. Each person battling chronic Lyme disease has an infection that is unique to them. This implies that not everyone will have the same experience when it comes to pain and pain relieving methods - there isn't a one fix for all. There are many factors to consider that make each experience with pain unique, such as the infection's location, total load of the infection, type of infection, diet, physical activity, etc. There are some common places a person with chronic Lyme disease and/or coinfections will usually experience pain, and this includes the head (i.e., headaches and migraines), joints (i.e., joint pain), the neck, the back (i.e., muscle pain), and even bone pain has been mentioned. It's important to remember that pain is the body's way of announcing it has an injury or a malfunction. Consistent pain is caused by consistent injury or malfunctioning of a body part. Pain relieving methods are great for providing temporary relief, but the cause of the pain must be addressed to not only live pain-free, but to avoid possibly further injuring or disabling a part of the body. You can rate each pain relief method that you've used for its effectiveness. ​Is Tired of Lyme missing a detox method? Let us know! Acupuncture has helped those with Lyme induced headaches, migraines, and muscle pain. If you intend to exploit acupuncture for pain relief, be sure the acupuncture practitioner is highly skilled to deal with the level of pain those with Lyme disease experience. Advice: Seek out a well-trained acupuncturist who specializes with Lyme disease pain. Amitriptyline Hydrochloride is a prescription tablet for migraines. Apple cider vinegar -- the ol' cure all for all the body's ailments -- may be able to dull, if not remove completely, Lyme induced headaches and possibly migraines. Take 2 tablespoons 3x a day for severe cases or 2 teaspoons 3x a day for mild cases. Warning: Consuming apple cider vinegar for an extended period of time can cause candida die off, may erode tooth enamel, and in extreme cases, interfere with electrolyte levels (potassium) in the body. 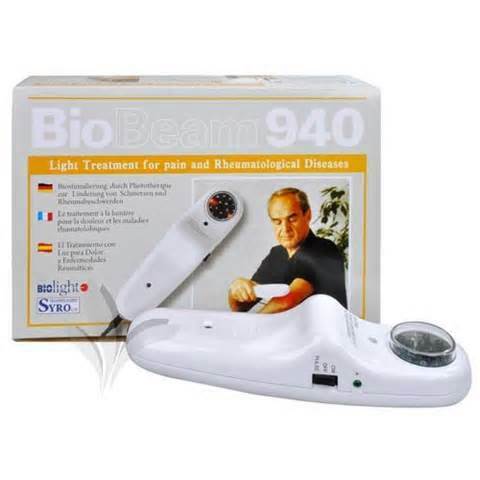 The Biobeam 940 is an infrared light machine you can place where you have pain for about 2-10 minutes per location, or around each location of pain. It relieves the pain while also helping to fix the inner/outer issue. Warning: There really isn't anything to be specifically cautious about with the BioBeam/NanoBeam because they are safe forms of treatment and can be used as often as needed. Botox injections have been found to be extremely useful for migraines. The botox works to more or less 'paralyze' the muscles that become involved in a migraine so that it stops a coming headache from developing into a migraine. Injections occur around every 3 months in the neck, forehead, and side of the head. 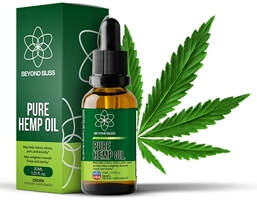 With vaporizer - Use cannabis with a vaporizer so you receive pure THC without the toxins. Without vaporizer - A small amount can provide hours of pain relief in all locations. It is also effective as a sleep aid. Warning: If you are anxiety prone, cannabis may heighten your anxious state. Smoking more, or the use of a vaporizer, may curb cannabis induced anxiety. Coordination and brain cognition may become impaired. The Indigo varieties tend to be less mind altering than the Stevia strains. DMSO stands for Dimethylsulfoxide. It is applied topically to muscles and joints for relieving pain. 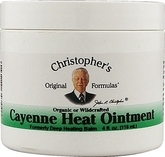 Dr. Christopher's Cayenne Heat Ointment is a topical solution for pain residing in both the joints and muscles. It contains the active ingredient found in cayenne peppers known as capsaicin, which is one of nature's great pain relievers and anti-inflammatory agents. Devil's Claw is an herb used for joint pain, headaches, and migraines associated with Lyme disease and its coinfections. Use 3-4 cups of epsom salt in a hot bath. Make sure to bathe on a full stomach and that you're well hydrated. After the bath, spend some time lying down with towels over you to keep sweating. Then, take a quick shower to get the salts off your skin. 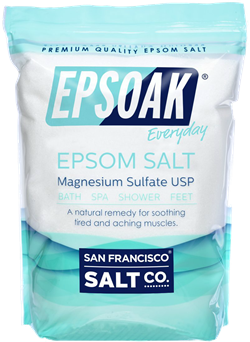 Epsom salt is also a good detoxifying method. Warning: Be careful getting in and out of the bathtub. Be particularly careful getting out of the tub, as you may be a little light-headed. Make sure you are well hydrated. For joint pain, start off with 4 (1000mg) capsules or 8 (500mg) micro capsules a day. If no results yield within 2 weeks increase the dosage to 6 (1000mg) capsules or 12 (500mg) capsules a day. Results may begin within the first week of consuming, but may need up to a month. Higher dosages between 8000mg - 18,000mg a day may be needed depending on each person's unique circumstances. The high omega-3 fatty acid content in fish oil stimulate production of anti-inflammatory eicosanoids. Warning: Consuming high dosages of low quality fish oil can causes heavy metal toxicity. 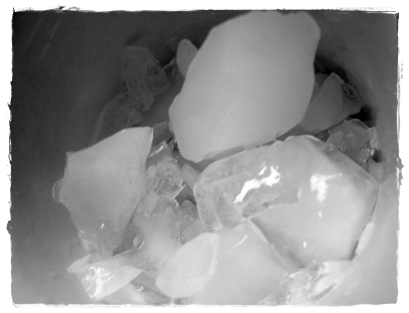 A high quality fish oil will not freeze when placed in a freezer. 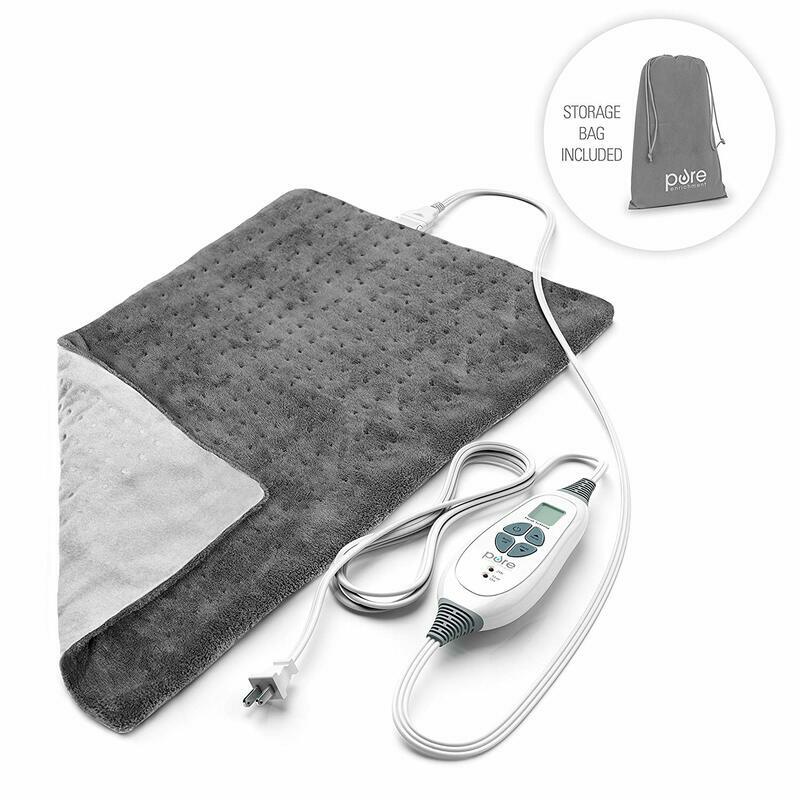 A heating pad is commonly used for reducing muscular pain, especially in the neck -- a common place for spirochetes to congregate. The relief however is temporary so several uses daily may be required. Warning: Heating pads can get very hot, so be sure to shut it off once you're done for safety reasons if yours doesn't have an auto-shutoff feature. An easy to make heat pack - Put rice into a sock and microwave for a minute or so. Longer, thicker socks work best and can be wrapped and molded around joints and trigger points to provide relief of aches and stiffness. Also most germs hate heat, especially Lyme! 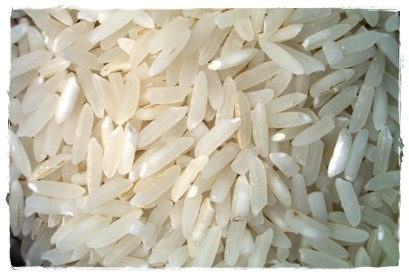 Warning: Be careful with temperature and overheating the rice pack. 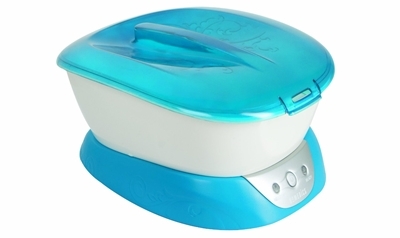 It can cause scalding burns and the rice itself will burn if over-heated. Ice treatment is the method of applying ice to the area of pain in order to reduce the inflammation and provide temporary pain relief. One may benefit more from ice treatment with the use of an inversion table. Using an inversion table may help alleviate pain in the torso region (i.e., back, chest, spine, and abdomen). Consider the use of ice treatment alongside an inversion table. Heat up some water, and let the tea bag seep for about 5-10 minutes to get the full benefit. You may add raw ginger for added benefits. Ginger contains a strong anti-inflammatory agent known as gingerol. 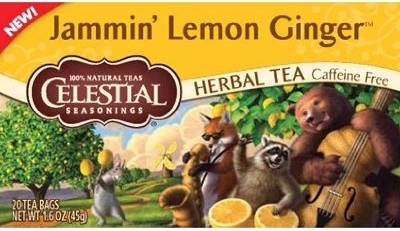 This tea has been found to relieve joint pain and swelling. Magnesium in an important mineral the body uses as an electrolyte. A magnesium spray may help reduce headaches, migraines, and joint and muscle pain when applied topically by relaxing nerve impulses in the body. Mepertiab is a generic prescription drug for pain relief. Naltrexone is a prescription drug taken daily in low dosages to increase endorphin production, the body's natural pain killers. It also supports the immune system. Warning: People with liver failure, or who have recently taken opioids, should not take Naltrexone. Naltrexone can't be taken with narcotics. Pain-Eze is a fast acting herbal formula designed for relieving minor pain and tension in the muscles. It comes in tablet form. Use when pain is at its worst. Pain-eze may be more effective when taken with Cramplex. Warning: 2 Pain-Eze tablets may cause drowsiness so start with 1 to observe how you respond. The use of a paraffin bath has been found to ease the joint pain caused by Lyme Disease. It has also been found to assist with fluid retention. 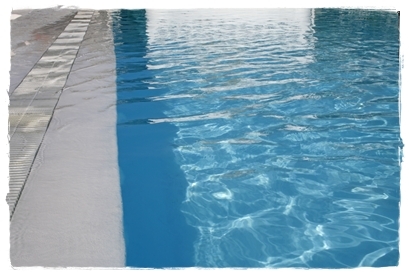 Swimming reduces gravity's force on the body, ultimately relaxing muscles and helping to reduce pain. Tiger Balm Patches are one of the more popular methods for relieving Lyme induced pain. 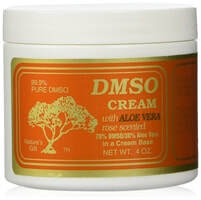 It it used for muscle pain, joint pain, and on occasion has been used for relieving headaches. Tramadol is a prescription drug designed for mild to moderate chronic pain (i.e., pain lasting for at least 3 months). Warning: Tramadol is addictive, so talk this over with your doctor. Traumeel is a homeopathic topical ointment for reducing inflammation and pain. Apply the ointment directly to the skin. Tylenol is the basic go to for headaches, and may help those with Lyme Disease and coinfections, but some have found it is completely futile. It may also help with muscle and joint pain.